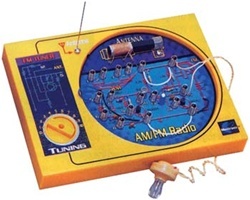 This is the Electronic AM/FM Radio Kit from Elenco??. solderless, educational electronic lab kit. the standard 520-1620 KHz AM band.